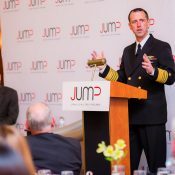 The importance of the U.S.-Japan alliance as a critical partnership during a period of increasingly fast-paced maritime competition was stressed at the Second Annual JUMP Dinner in Washington, D.C. on March 16. Exploring the theme of the future of the U.S.-Japan alliance, the dinner brought together over 100 JUMP members at the prestigious Army and Navy Club to enjoy the company of others who have served in Japan and hear about the state of the alliance from keynote speaker, Chief of Naval Operations Admiral John Michael Richardson. 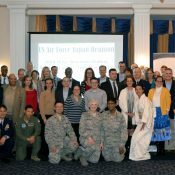 More than 100 Air Force service members who have been stationed in Japan had the opportunity to reunite at the United States Air Force Japan Reunion event, hosted at Joint Base Anacostia-Bolling in Washington, D.C. on March 10. 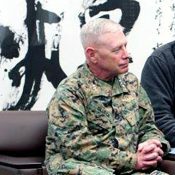 Distinguished guests shared memories from their time serving in Japan, reunited with their fellow service members in Misawa, Yokota and Kadena, and heard about how the Japan-US Military Program (JUMP) provides opportunities for veterans to continue to stay engaged with the U.S.-Japan alliance. Members of our armed services who have served in Japan came together on Friday, February 3 for a celebration of lifelong friendships, shared memories, and the strength of the U.S.-Japan alliance. 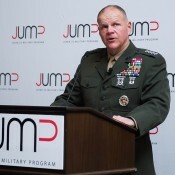 In cooperation with the Embassy of Japan, JUMP participated in the U.S. Army Japan Reunion at the Fort Myer Officer’s Club in Arlington, Virginia. 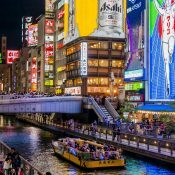 JUMP is pleased to officially announce a formal partnership with the Yokosuka Council on Asia-Pacific Studies (YCAPS). 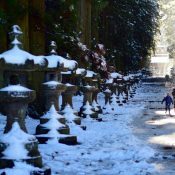 YCAPS aims to promote the study of strategic, diplomatic, and legal issues affecting the Asia-Pacific Region, and this partnership allows JUMP to extend its outreach to service members in Japan.